For the love of life: Unity and My Little Shoebox Hip Hop! Unity and My Little Shoebox Hip Hop! Hi there, hope you have a great day. We have a fun Unity hop arranged for you by teaming up with My Little Shoebox. Our teams have exchanged products and we are doing a hop today and on the 27th as well, so don't miss out on these two days as there are prizes to be won! You should have arrived here from Becky's Blog, however if you didn't, the party starts at the Unity Stamp Co. Blog, so hop on there. Again, you don't want to miss out on all the fun inspiration! I also have a fun news to share that I haven't even shared about yet on my blog. This month I am guest designing at My Little Shoebox, and you can see my creations all month on Thursdays. Yepp, I have been a busy bee. Thank you to everyone at My Little Shoebox!!! Anyway, today I have a little card to share with you, where I used My Little Shoebox papers and of course their coordinating Unity Stamps, Enchanted Garden and Little Miss Sunshine Itty Bitty stamps. Oh and they are on sale, so make sure you grab them right away! So cute!!! 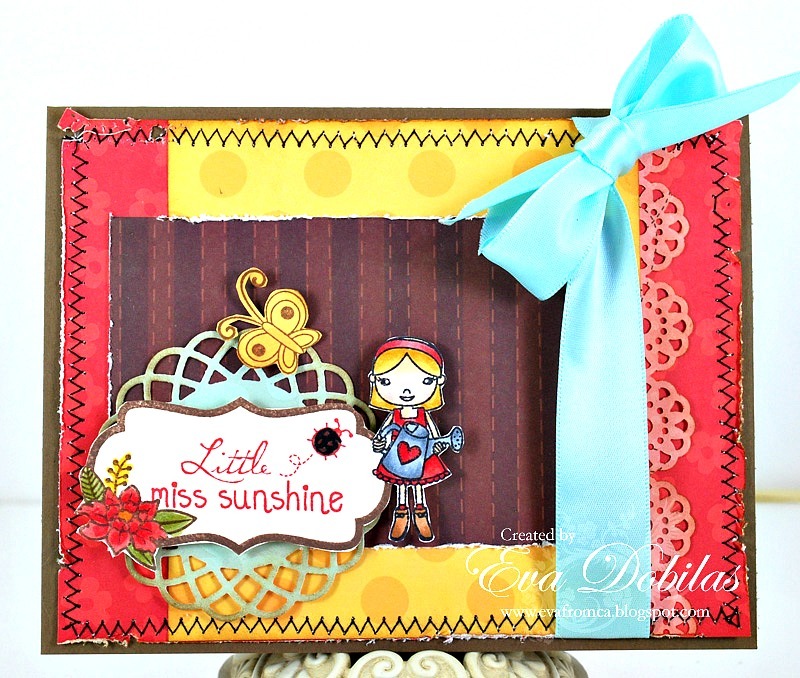 Well, that is it for today and now it's time hop on over to Becky Williams' blog to see what fun creation she has waiting for you!